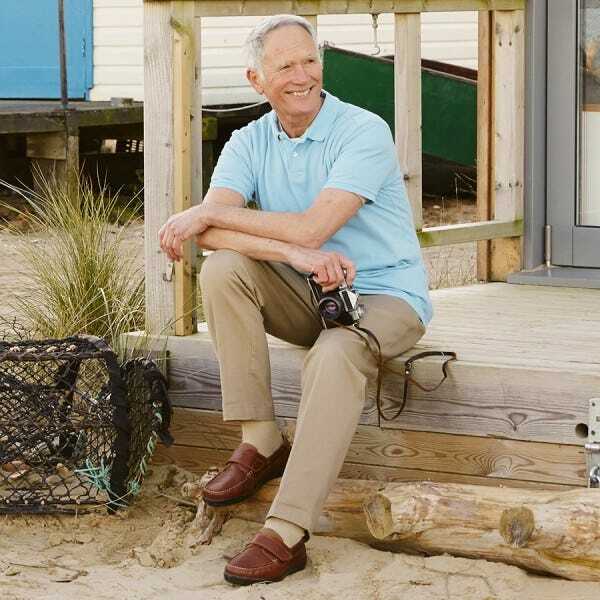 Crafted from luxury leathers that mould to your feet, this is our take on the classic boat shoe. Elegant and stylish, it has our ‘hidden depth’ design so it looks neat on swollen feet. This handsome, premium boat shoe fits swollen feet with ease thanks to the special ‘hidden depth’ design. It’s crafted from luxury leathers and lined with soft leather for extra comfort. This lightweight deck shoe is the perfect partner for shorts, jeans and chinos. The fabric is lined for slipper-soft comfort while the reinforced back is cushioning and supportive. Add a touch of elegance to your cruise outfit with this lightweight sling-back. Ideal for swollen feet, it has a touch-fastening strap and concealed elastic gusset that adjusts to fit.